According to Yahoo Real Estate Centennial, Colorado 80122 is the 3rd hottest zip code in America. See the whole list and article on Yahoo here. Homes for sale in Centennial 80122 below. How were the hottest zip codes in America determined? Demand. Average number of times each listing is viewed. Supply. How fast homes sell (median age of inventory). The 10 hottest ZIPs — listed below — outpace the nation by about a factor of five in terms of short supply and strong demand, Realtor.com told Yahoo Homes. Overall, homes in the top 10 ZIPs sell four to nine times faster than the national average, and the ZIPs’ listings are viewed three to eight times more often. In one Colorado community, homes last a mere two weeks on the market, selling faster than anywhere else in the nation. “These ZIP Codes are in some of the best-performing local economies, for the most part,” he said. Not only that, but they seem to be particularly good for Millennials. The median income for the 25-to-34 age group in these ZIP Codes is 50 percent higher than the national average, and 26 percent higher than the larger metro areas. That matters because first-time homebuyers — of whom 70 percent are Millennials — are considered key to the housing recovery. They’re buying 17 percent more than last year, Smoke said, more than offsetting the decline in activity among investors and foreign buyers. “I am happy to see that affordability is a factor here,” Smoke said. All but two of the ZIPs are affordable in national terms, and the two that aren’t — Carlsbad, outside San Diego, and Melrose — are “on the affordable areas of the spectrum” within the larger community. In three of the ZIPs — Worthington, Ohio, outside Columbus; the Detroit suburb of Novi; and the St. Louis suburb Crestwood — the median household income is enough to afford about two-thirds of homes on the market. The ZIPs have an average of 22 percent lower unemployment than their wider metro areas — and that’s in a group of metros where unemployment rates have dropped five times faster than other metros’ rates have in the last year. Eight of the ZIPs have less than 5 percent unemployment rates (Crestwood and Novi being the exceptions). Median household income in the top 10 ZIPs is $71,000 — 20 percent higher than the larger metro areas’ average and 32 percent higher than the national average, $54,000. Older Millennials, those in the 25-to-34 age group, tend to do particularly well. A third of these ZIPs’ households earn at least $100,000 a year. Nationally, less than a quarter of households earn that much. You might notice an absence of the usual suspects — most glaringly, Silicon Valley — on this list. Smoke says Silicon Valley ZIPs rank “pretty highly” when the list is broadened beyond the top 10, but because the “entire market is hot,” there are no “standout neighborhoods. Below are the hottest ZIP Codes in the nation so far in 2015. 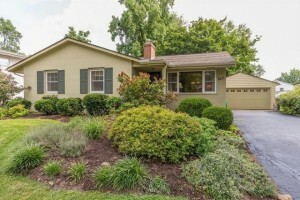 We asked Realtor.com to provide an example of a home near the median price in each ZIP, just to give a sense of the market; you can click on each photo for listing details. in the country, spending just two weeks on the market. Millennial households’ median income is a whopping $88,000 a year, about two-thirds more than their counterparts nationally and about half again as much as their Denver-area cohorts. See the whole list and article on Yahoo here.